The era of having to pay cellular providers to unlock your cellphone will end this year. As of Dec. 1, cellphone customers can ask their provider to unlock their phones free of charge, the CRTC announced Thursday. At the same time, it said, all newly purchased mobile devices must be provided to customers unlocked. 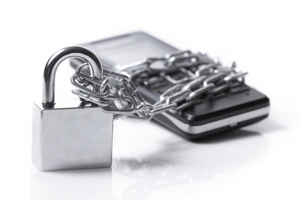 Telecoms often order locked phones from manufacturers that are programmed to work only with their service. Then they charge a fee — typically $50 — to unlock the phone if a customer wants to switch providers. When the CRTC reviewed its wireless code earlier this year, it invited the public to comment online. Many took the opportunity to gripe about unlocking fees. During a February CRTC hearing, Bell, Rogers and Telus all stood by their unlocking fees. The big three warned that if they didn’t charge an unlocking fee for the few customers who want it done, the cost would have to be passed on to everyone. Canada’s main telecoms wouldn’t comment on the CRTC’s decision to ban unlocking fees, stating they’re still reviewing the new mandate. The commission’s decision on unlocking fees came out of a review of its 2013 wireless code created in part to help limit costly cellphone fees for consumers. As part of the review, the commission also announced that only the account holder can consent to data overage and additional roaming charges in a family-shared cellphone plan. Other plan members will only be able to give consent if the account holder grants them approval. To help customers avoid running up their bills, the wireless code mandated that cellular service providers must cap international roaming charges at $100 a month and data overage fees at $50 — unless a customer agrees to pay more. Last year, CBC’s Marketplace found that Rogers, Bell and Telus all allowed anyone on a family share plan — including minors — to buy data above the $50 cap. All they had to do was respond “Yes” to a text message from their provider. The new approval rules for family plans are effective immediately.